This is an adult Mixed Media Art Workshop where you will explore painting, collage, stencil and stamp making. You will have access to all studio supplies and take home a goodie bag with all your creations and your own mixed media canvas artwork. 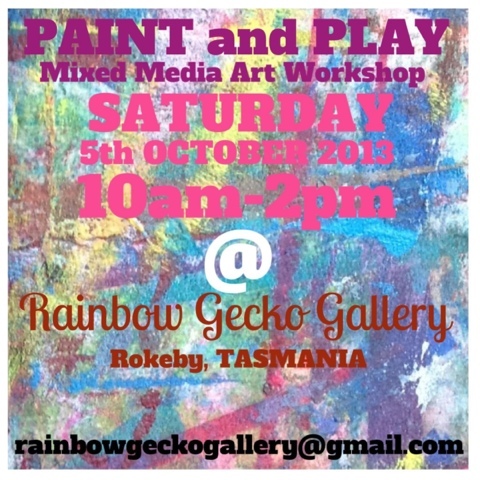 The workshop will be held at Rainbow Gecko Gallery, ROKEBY, TASMANIA. For more information please email for a detailed leaflet.